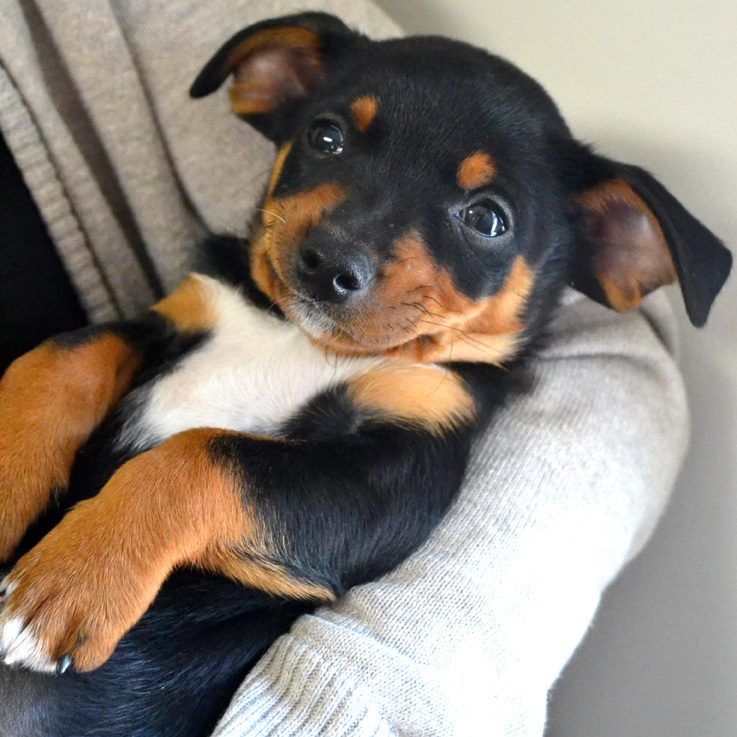 Grim is a snuggly puppy with a special skill: he can actually smile. 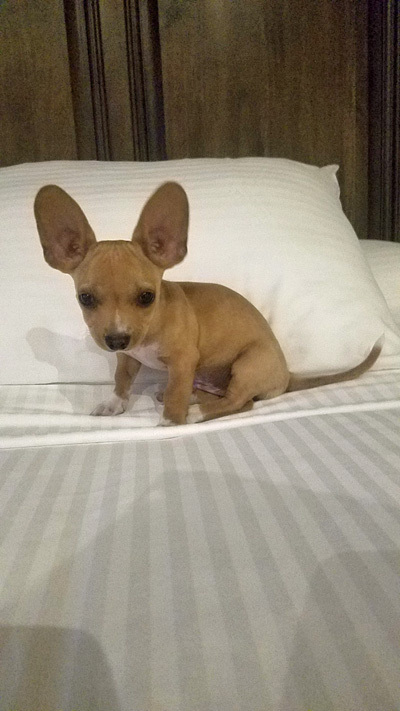 Grim and his three siblings (Genie, Ghoul and Goblin) were rescued in Tulare County, California. 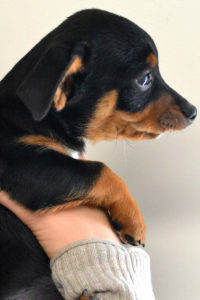 The 2-month-old Chihuahua-Dachshund blends arrived at Helen Woodward Animal Center in early October 2018. 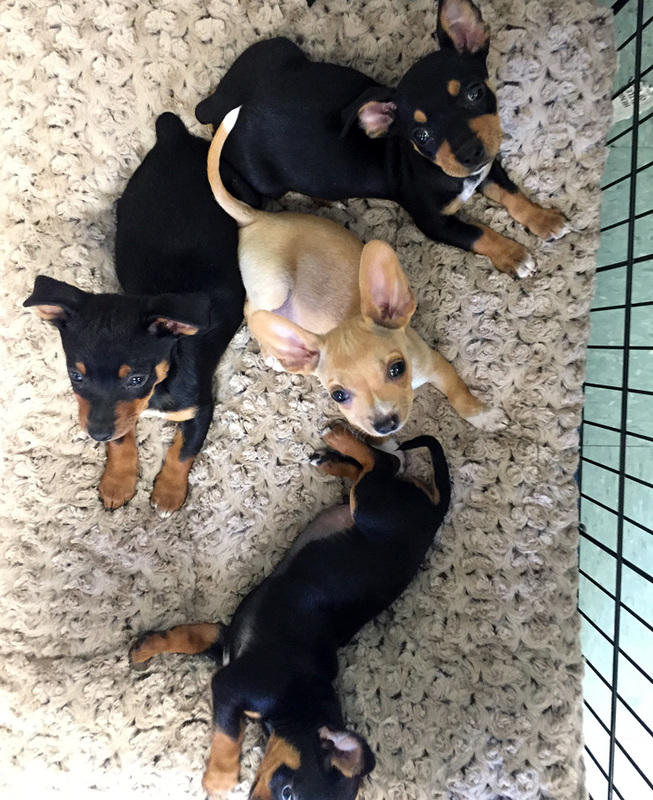 They needed treatment for tapeworms (which are quite common in puppies) but were perfect in every other way. 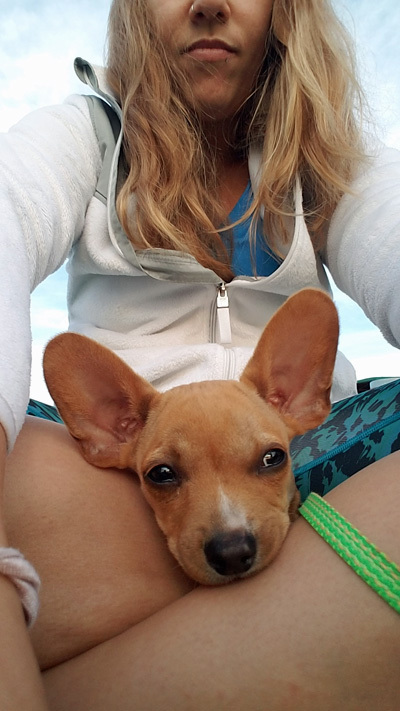 Our medical team did notice something different about one of the pups: he had a severe overbite. (He looked just like Instagram star Tuna Melts My Heart!) Although the overbite resulted in an adorable smile, it also caused Grim grief. His bottom teeth were puncturing the roof of his mouth. 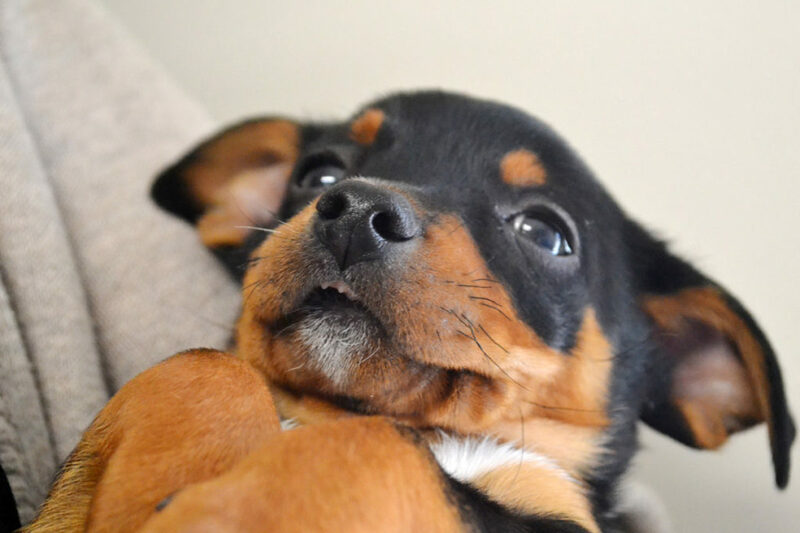 We wanted this sweet boy to live the most comfortable life possible, so the decision was made to remove two of his deciduous (AKA puppy) canine teeth. Grim underwent surgery on October 19. (He was also neutered at the same time.) 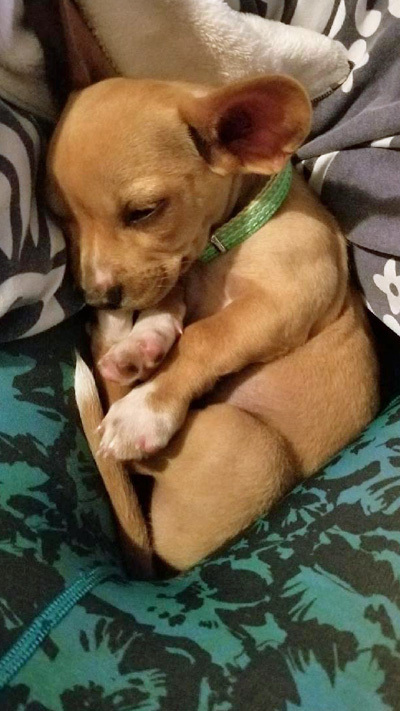 After a smooth recovery, Grim and his three Chiweenie siblings became available for adoption. 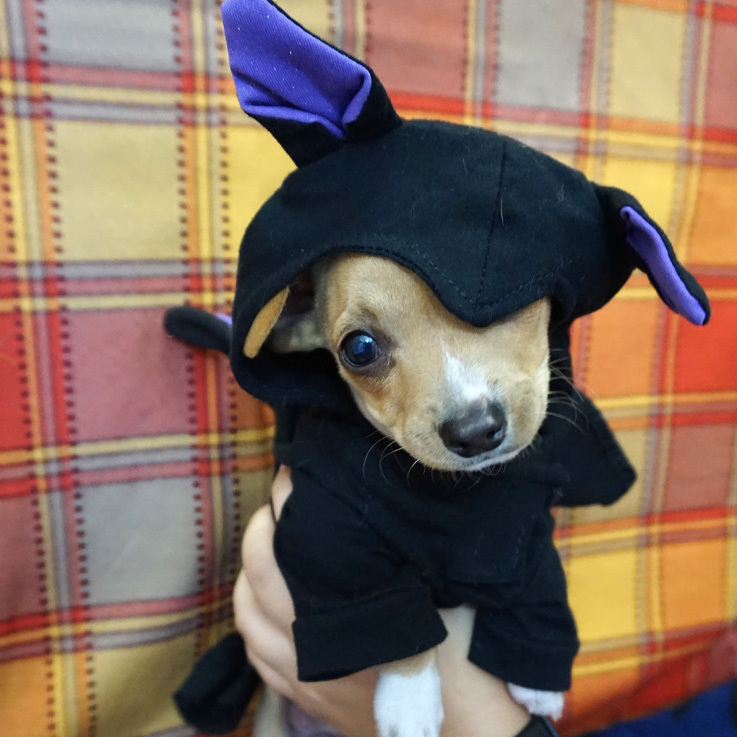 As the pups waited for forever families, they had some fun modeling Halloween costumes! Grim wouldn’t have to wait long. 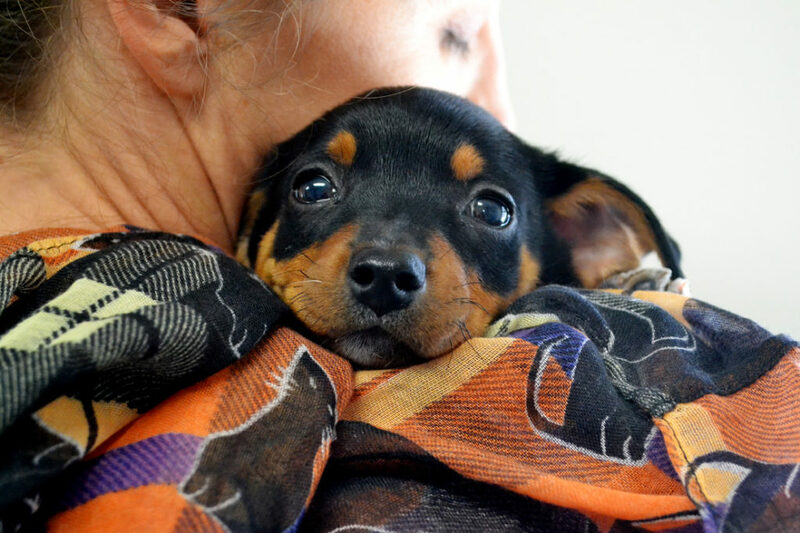 On October 30, a couple visited the Center and knew that Grim was exactly who they were looking for. 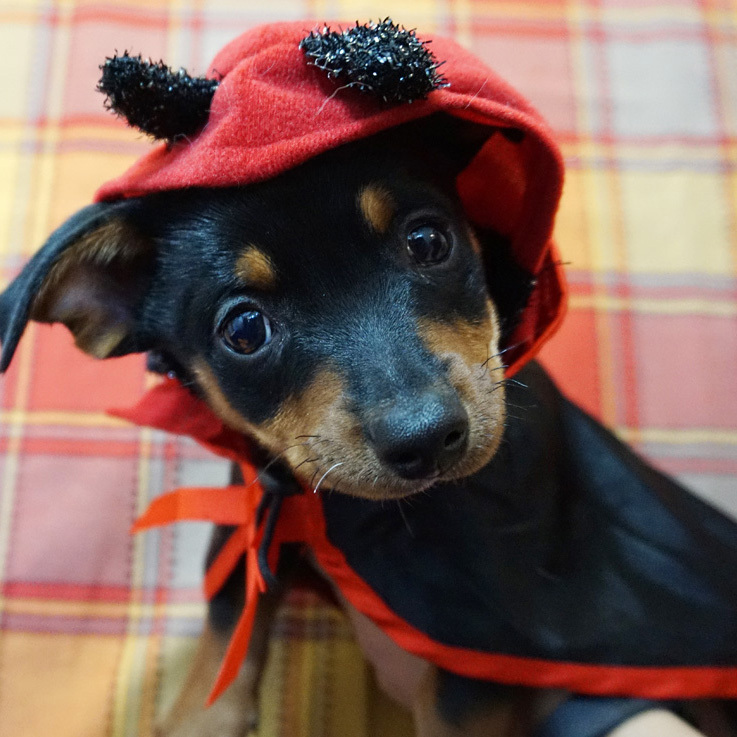 This sweet puppy with the spooky name got to celebrate his first Halloween in a forever home. 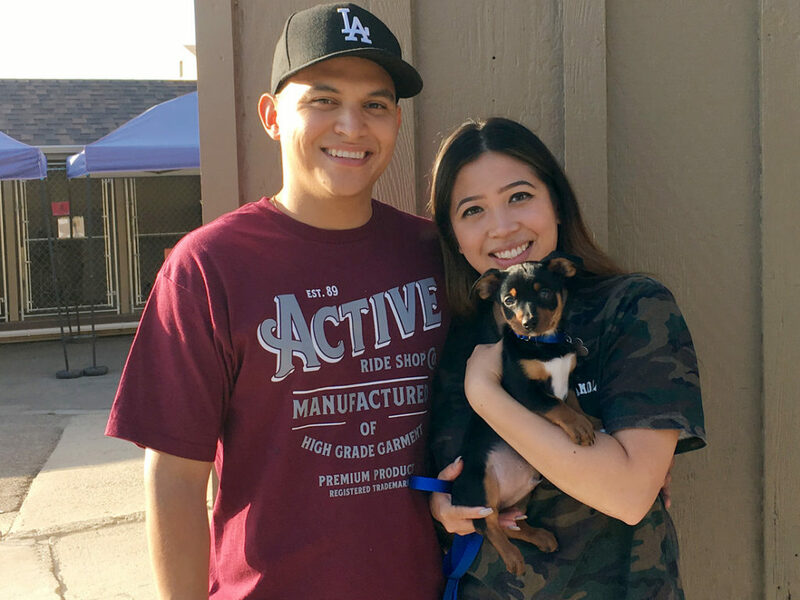 All Smiles on Adoption Day! 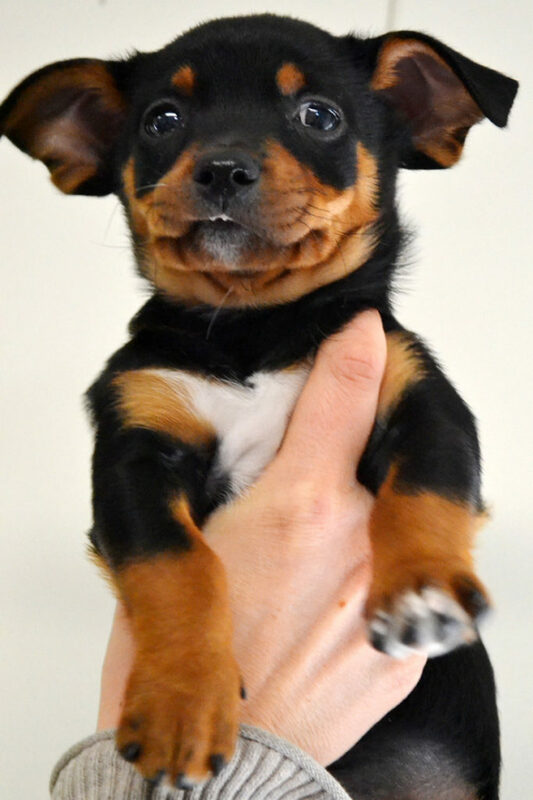 Grim’s veterinarian will continue to monitor his teeth and jaw as he grows, but we anticipate this good boy will have a great life! We will continue to share updates as we receive them. Have a wonderful life, babies!